SHIRT LOCK was designed with the active sports professional in mind. An alternative to uniform shirt stays, Shirt Lock keeps your shirt tucked in all day. Looking your best in a uniform is important especially if you want to command greater respect. Whether it's for business, selling and presenting or officiating important sporting events and games you must be sharp and look sharp. 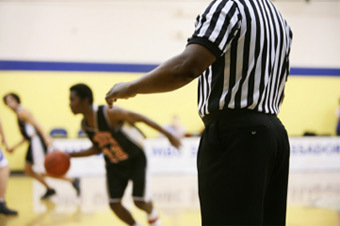 Sports Officials: Look great while you officiate! 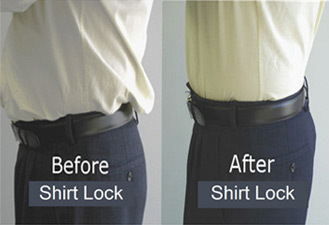 SHIRT LOCK is proven to be an effective alternative to suspenders, shirt stays and the rubber belt and flex belt. Work or Play Shirt Lock keeps you looking sharp all day. Free Shipping when you order 2 or more of our Wesol Distribution. Work or Play Shirt Lock keeps your shirt tucked in so you look sharp all day. Shirt Lock undergarment belt was developed for men and women as an alternative to shirt stays and other accessories designed to keep your shirt tucked in. Whether it is for business, sports, military and police uniform dress, scouts, school uniform or ROTC; Shirt Lock will keep your shirt tails where they belong- in your pants. Shirt Lock is a great alternative for the shirt stay garters, suspenders belt, men's suspenders, the rubber belt or shirt stays. 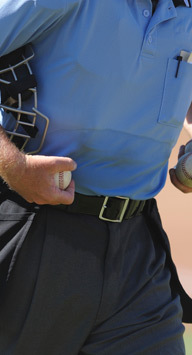 Also an essential part of your referee uniform or umpire gear. Golfing to high jumping or hot pursuit, Shirt Lock keeps you looking neat and professional. Shirt Lock is made by Wesol Distribution, Inc., and is Patent Pending. SHIRT LOCK ® is US trade mark protected, US and Foreign Patented.